I have here products that have been changing my hair care game lately. And with that sentence, I know you’re dye-ing to know (lol, get it?) but before we start, I’d like to point out my hair type. My hair is extremely thick and the strands are course, it’s on the dry side due to being color-treated and is perpetually frizzy. Yikes! So when it comes to hair products, I’m looking for either something to make it more manageable, tame the frizz, hydration or all of the above. The Hey! 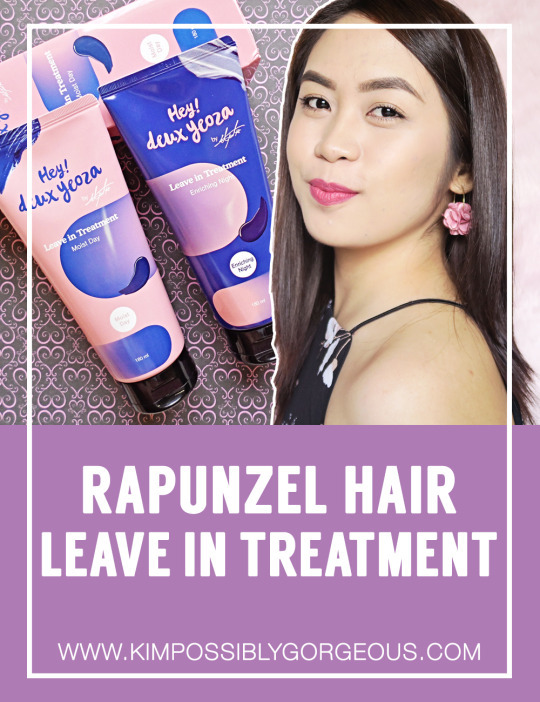 Deux Yeoza Leave In Treatment Moist Day & Enriching Night, or what Charis calls Rapunzel Hair Day & Night, is a duo of leave-in hair treatment. One is to be used before you start your day and the other as you sleep, both with no rinsing required. Let’s discuss, shall we? Like I just mentioned above, my hair is at the perfect state to try new products, especially treatments that continuously repair and protect from further damage. And cutting right to the chase – I like these, but one more than the other. Moist Day – It comes pink tube and inside you’ll find a sweet-smelling pink cream. It’s your “day care” applied before doing any sort of styling. When I wet my hair that morning (I wash my hair everyday but sometimes in the morning, sometimes at night), I put this on my 50% dry hair and I like that it makes it so much easier to comb through. I then go on with my usual blowdry or straightening or I simply let it air dry depending on that day’s agenda. It coats each strand and seals in the moisture, giving me assurance that my hair is protected from heat, from tools and from the sun. 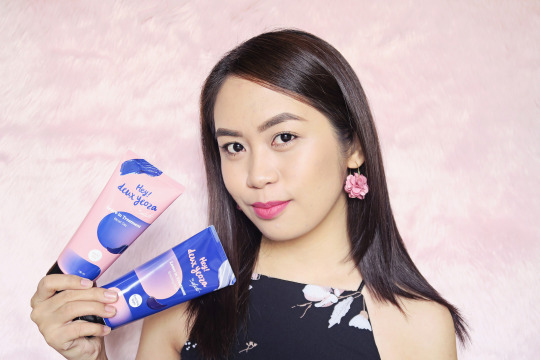 Enriching Night – In blue, but equally cute, tube, this one comes in the form of butter-colored cream and has somewhat thinner and runnier consistency than the Moist Day. Yes, it’s an added step to your night routine. Now it’s 10-step Korean skincare + 1. But it really delivers the “restores hair while you sleep”. You’ll wake up with a hair feeling fresh, non-greasy but better. So, which one I like better if I really have to choose? It’s the Enriching Night. I just find waking up with much more polished and less frizzy hair more convenient than to do all the styling in the morning. Maybe it’s just me, but isn’t an extra 10-minutes of sleep a bliss? Overall, for only $48.75 for both, the products really deliver and I can already tell that I’m going to get a lot of use out of them. If you have dry hair and you want to get that expensive hair treatment thinking it’s your only hope, try these first and see the results!